New Year, New Incentive Trip! Home IHS Insurance News New Year, New Incentive Trip! One of the greatest benefits of working for an amazing company like IHS Insurance Group is the opportunity to have a year of excellent performance rewarded with an Annual Incentive Trip. This is an opportunity that all employees have the chance to qualify for, not just the sales teams! 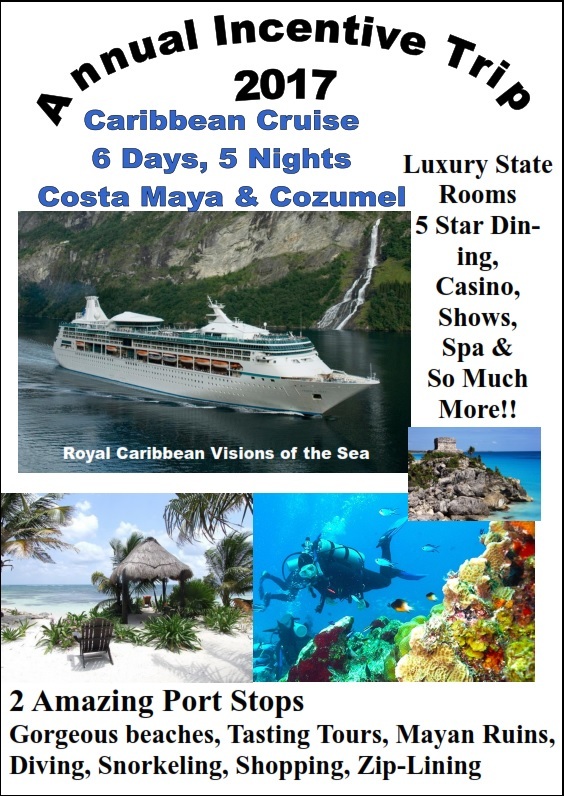 So, everyone was very excited to hear that the destination for 2017’s Incentive Contest will be a Caribbean Cruise!